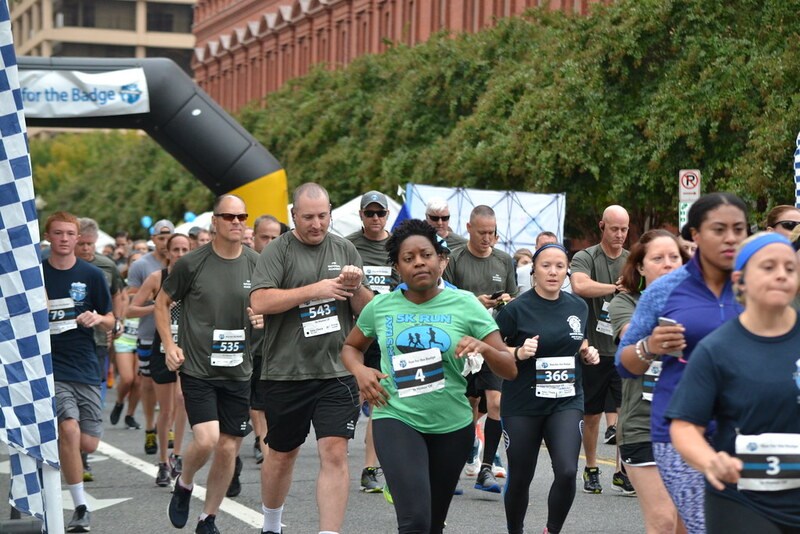 Thank you, to everyone who participated in the 2018 Run for the Badge on October 13, 2018, in Washington, DC. The winner of the Run for the Badge 2018 — Joseph Krzystofik in a time around 17:07. While fundraising isn't required to participate in the Run for the Badge, we're trying to raise $129,000 in honor of the 129 officers who were killed in the line of duty last year. This is a great chance to show your support for the law enforcement community and the Memorial. Ask a few friends to chip in to support you! Fundraising continues until the end of October. There's an option for everyone at the Run for the Badge! Pick a type and join us today. Run the 5K course on October 13. Walk the 5K course on October 13. Fundraise and run or walk remotely. Feel free to contact us at info@RunfortheBadge.org and we'll be happy to answer any questions you have. Every dollar you raise helps us honor our nation's law enforcement officers and our staff is here to help you to succeed as both an athlete and a fundraiser. While we strive to make the Run for the Badge a fun and exciting event for all of our participants, it is also a powerful way to support the mission of the National Law Enforcement Officers Memorial Fund. Every dollar you raise goes toward honoring and remembering the heroes of American law enforcement. Supporters like you and your donors allow us to carry on our important work. The National Law Enforcement Officers Memorial represents a tribute to officers from across the nation. Take a look at our interactive map to see how many officers from your state have been honored on the marble walls of the Memorial.